This is my favorite view to run too. Except for the finger in the corner..
She is very accepting of this, just one more thing that she has to deal with, while being married to a runner. 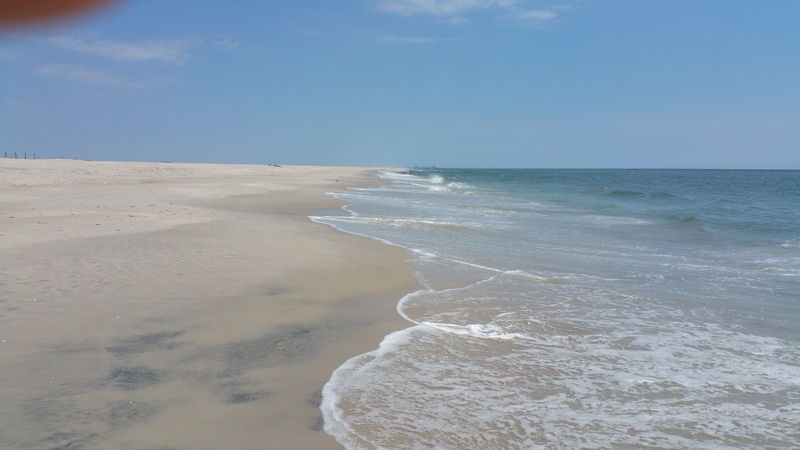 On Sunday, we went to Assateague to enjoy our first family beach trip of the summer. It was chilly (the water was 60, the air was 72) – but my family loves the beach even if we have to be bundled up to enjoy it! 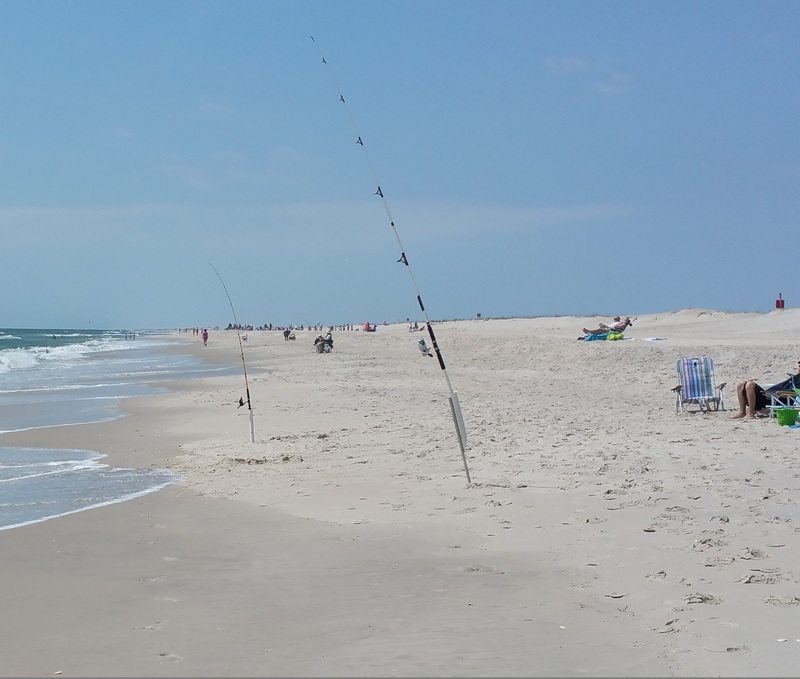 Its never as crowded here as it is in Ocean City, 10 miles (or so) to the north, even on a holiday weekend! Running on the beach however, does carry its own hazards. 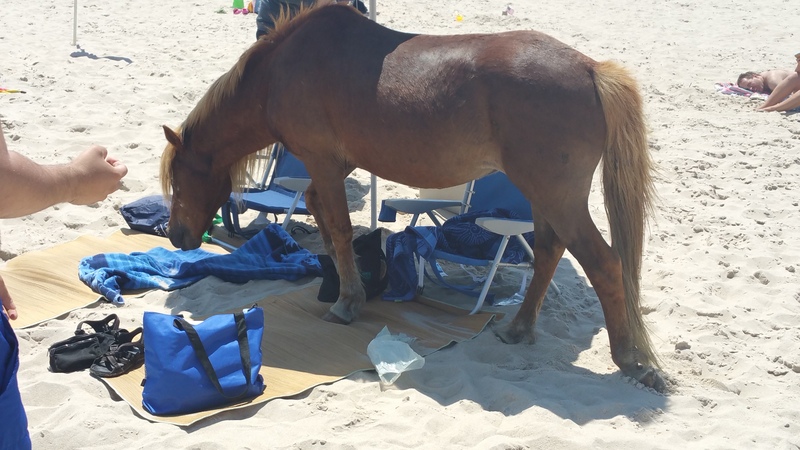 One hazard – the horse walking up and down the beach trying to open coolers. There is an invisible line running from this rod to the ocean… Quick reflexes can allow one limbo mid-stride! I was not looking forward to the inevitable Plantar Fasciitis pain, but even the next day there was none! I love the beach, I love running on the beach, and I love the fact that it has me started again. 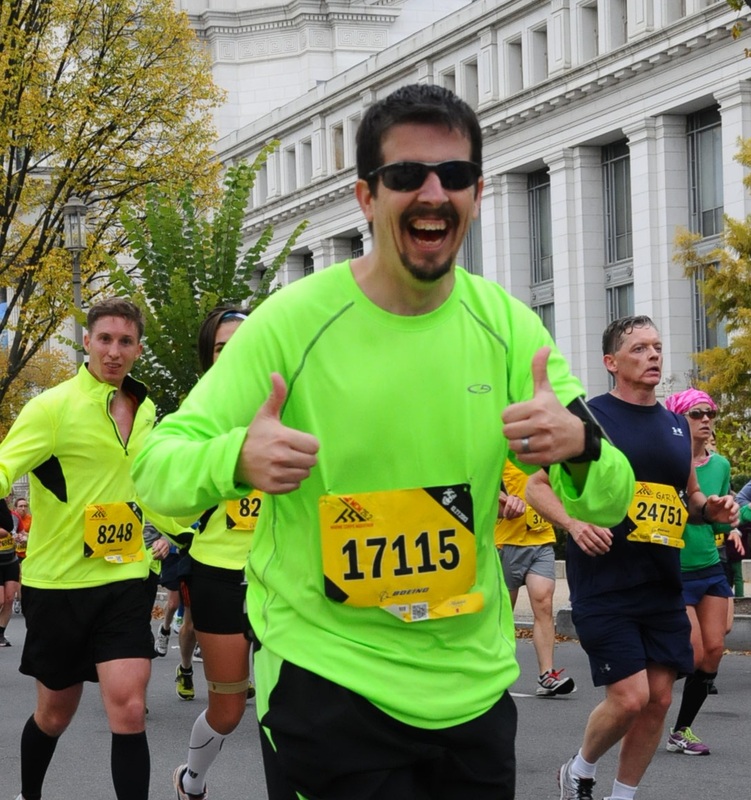 ‹ Recovering and running… Or, my week since the weekend.